UVA astronomers are designing and building a $6 million observatory instrument that will reveal stars 25,000 light years and more away. By the end of next year, astronomers will deploy the Southern Hemisphere’s first state-of-the art infrared spectrograph, capable of peering through cosmic dust clouds into vast regions of the Milky Way’s central bulge. 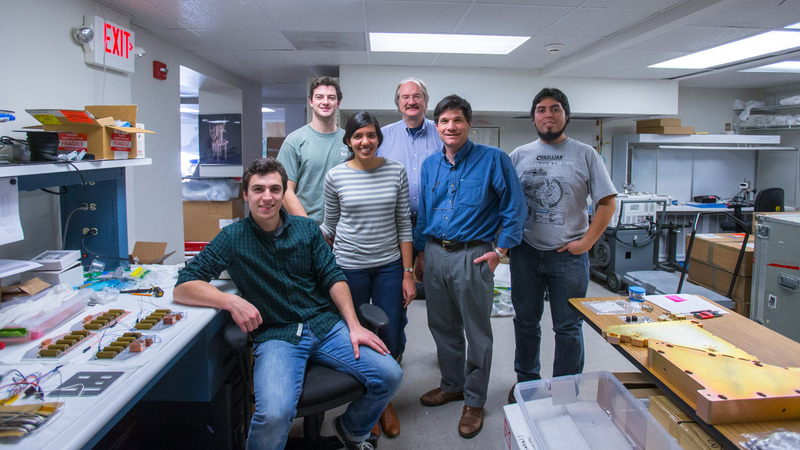 That instrument is being designed and built by University of Virginia astronomers. The infrared-sensitive instrument, using wavelengths longer than visible light, will allow astronomers to examine the motions and chemical signatures of hundreds of thousands of previously invisible stars inside and on the far side of our galaxy’s star-dense central region, opaque areas that are invisible to even the most powerful telescopes working at optical wavelengths. 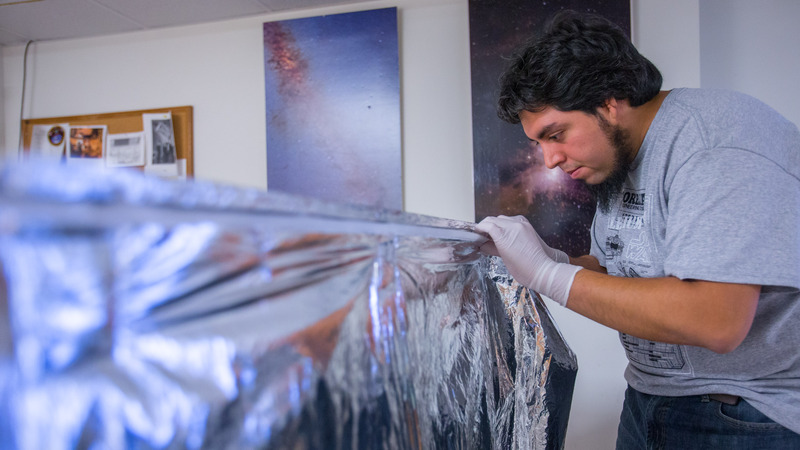 “By using infrared wavelength detectors, it’s like removing a cloak, revealing stars that are 25,000 light years and more away,” said UVA astronomer Steven Majewski, who is leading the science side of the project – called APOGEE-2 – to build and deploy the new $6 million instrument. By September, the new APOGEE-2 spectrograph will be attached to the du Pont Telescope at the Las Campanas Observatory, located in the Andean foothills of the desert regions north of La Serena, Chile. The new instrument is a sister to one designed and built for an original APOGEE project several years ago and attached in 2011 to a comparable telescope at the Apache Point Observatory in New Mexico. The new spectrograph, at its Southern Hemisphere location, will afford views of parts of the Milky Way that cannot be seen by the first APOGEE instrument at the Northern Hemisphere site. “Parts of the Milky Way that are currently inaccessible to our survey will appear directly overhead as seen from Chile, and this will vastly improve our ability to create a comprehensive census of the stellar populations of our home galaxy,” Majewski said. The northern APOGEE instrument, now in its fifth year of operation, has provided exciting new insights into how our galaxy formed and evolved. As a prototypical spiral galaxy, the Milky Way represents possibly billions of other such galaxies in the universe and therefore provides a model with which to help explain how the greater universe is constructed and evolving. “Our Apache Point spectrograph has opened a new window to the stars, revealing parts of our galactic star system previously impossible to view,” Majewski said. “This has provided a new understanding of the chemical compositions of hundreds of thousands of Milky Way stars as well as their motions through the galaxy. APOGEE-2, using both the New Mexico and Chilean observing stations together, will be in operation until at least 2020, providing, as APOGEE-1 already has, an unparalleled database of information for astronomers throughout the world with which to tackle a great breadth of scientific problems. For example, using the APOGEE system, astronomers are piecing together how the primary ingredients made in the Big Bang – hydrogen and helium – were transformed, through the process of nuclear fusion, into heavier elements like carbon, nitrogen, silicon and iron. Without this stew of heavier elements – formed in the stars – there would be no planets and, ultimately, no life on at least one planet – Earth. The new APOGEE instrument, like its northern sister, relies on a system of fiber optic cables to simultaneously channel the light the telescope collects from 300 stars at a time, and then spreads the light from each star into an infrared rainbow with a specialized prism-like optic. A 265-pound camera, featuring six lenses with sizes up to 16 inches in diameter, and highly specialized infrared light sensors – valued at $1 million – will record the rainbows as input to computers that will calculate the chemical signatures of each targeted star and its Doppler velocities. The technically advanced instrument, cryogenically cooled and housed under vacuum within a steel vessel, weighs two tons. It will allow astronomers to derive the precise motions of stars and measure the abundances of 15 chemical elements, including carbon, nitrogen and oxygen, life’s building blocks. APOGEE-1 already has helped astronomers identify stars that have planetary systems that could support forms of life. “By examining their infrared spectral signatures, we are able to determine a great variety of information about hundreds of thousands of stars,” said instrument scientist John Wilson, who leads the design, construction, assembly and testing of the spectrograph. APOGEE is part of a large, international collaboration featuring hundreds of scientists at dozens of institutions around the world. 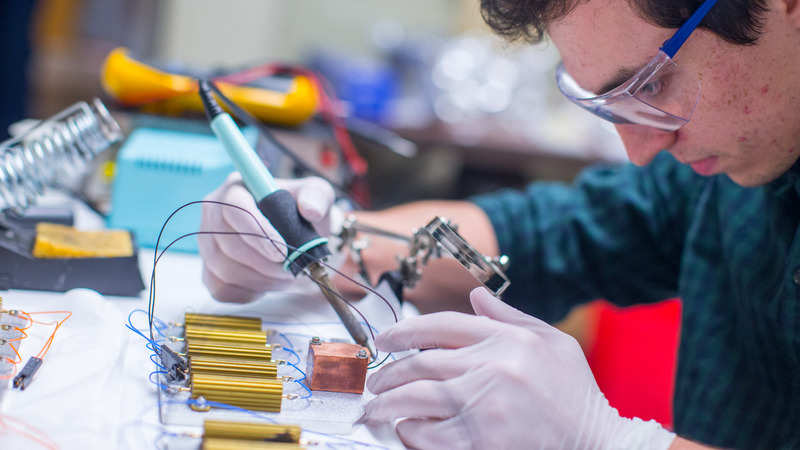 In particular, Majewski and Wilson are working with seven Chilean universities tasked with operating the southern instrument, sharing time, knowledge and expertise and exchanging students. Majewski has in the past couple of years “flown from one end of Chile to the other” to establish the collaborations. The APOGEE projects form one part of the Sloan Digital Sky Survey, which specializes in applying innovative observatory techniques and instruments to sample the components of the universe. 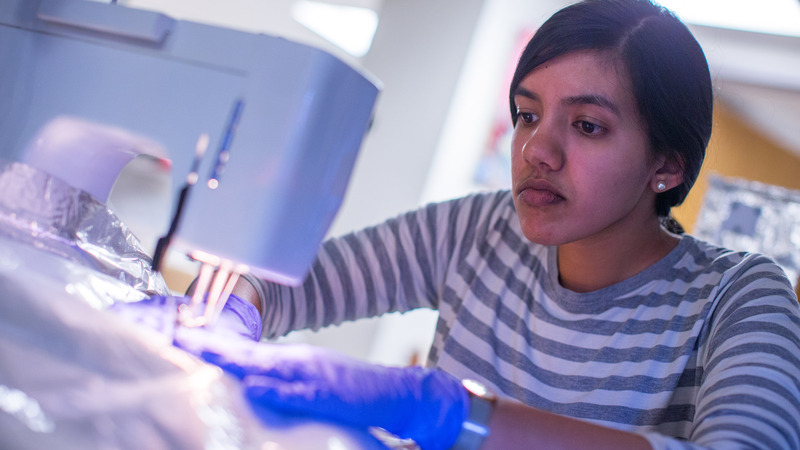 The Alfred P. Sloan Foundation funds the survey, along with contributions from dozens of research institutions, including UVA, and the U.S. Department of Energy. 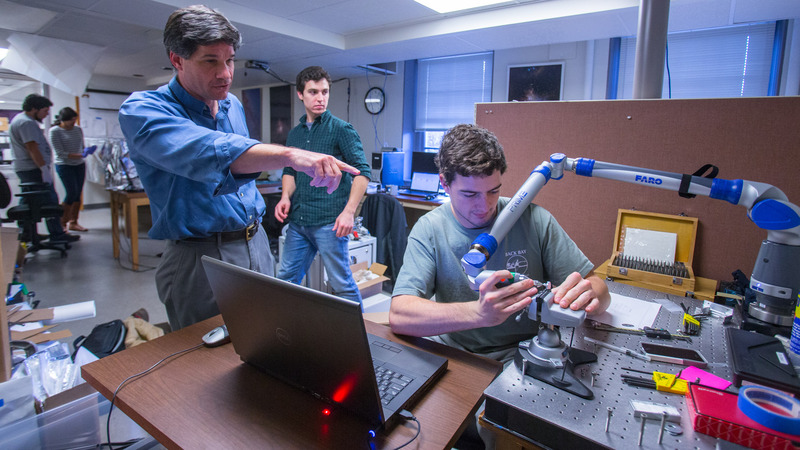 Majewski said that UVA has been able to compete for APOGEE project grants because of its strong instrument design program, founded by astronomy department chair Michael Skrutskie, an expert astronomical instrument designer.